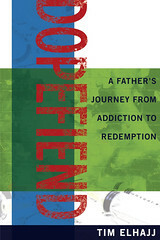 Alan Schulte’s story is the story of Everyman, addict or not. Failure is a condition of life, the point of which sometimes happens in unexpected places. While addicts might be encouraged, more than most, to direct a spotlight into the darkest parts of their soul, it is every writer’s burden to tell their story in such a way that the spotlight shines in the reader’s soul as well, illuminating our deepest fears, and reminding us that the light won’t kill us after all. Join the Junk editorial staff in celebrating Alan Schulte‘s story, The Point of Failure.